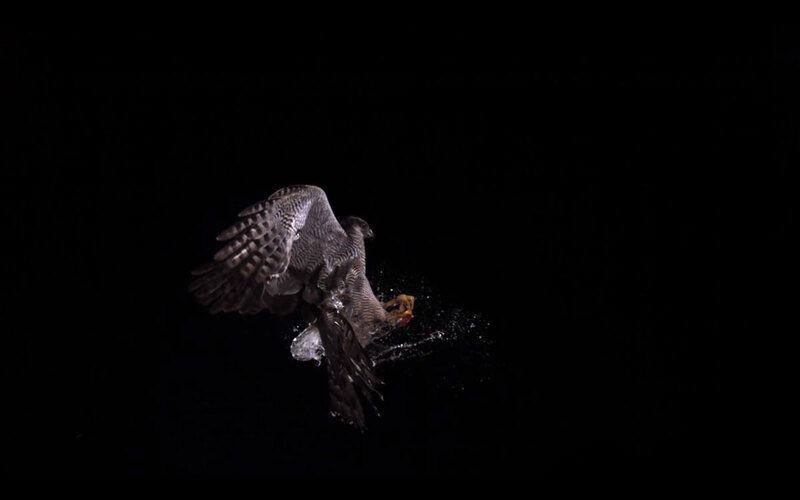 Watch this Goshawk hunt in slow motion as it locks onto it’s prey in the air and swoops in for the grab. It’s prey, a balloon filled with water. Shot using very high speed cameras in a studio in the UK by Earth Unplugged, a group that make films for their YouTube channel about all the incredible natural world around us. The Goshawk can grow to about 2.5 feet tall with a wing span of 50 inches and is capable of considerable, sustained, horizontal speed in pursuit of prey with speeds of 38 mph, very fast for a big bird as their agility is great to match. Needless to say my kids love these and I have to admit that I do as well.